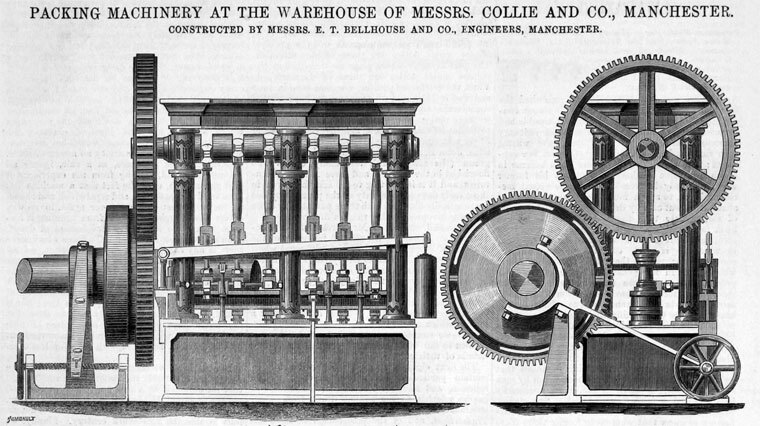 1870.Packing Machinery at the Warehouse of Messrs. Collie and Co, Manchester. 1845 Registered a design for fire-proof doors for hoists in mills, warehouses and other buildings. Gas works for Buenos Ayres constructed by Bellhouse under the superintendence of William Bragge. 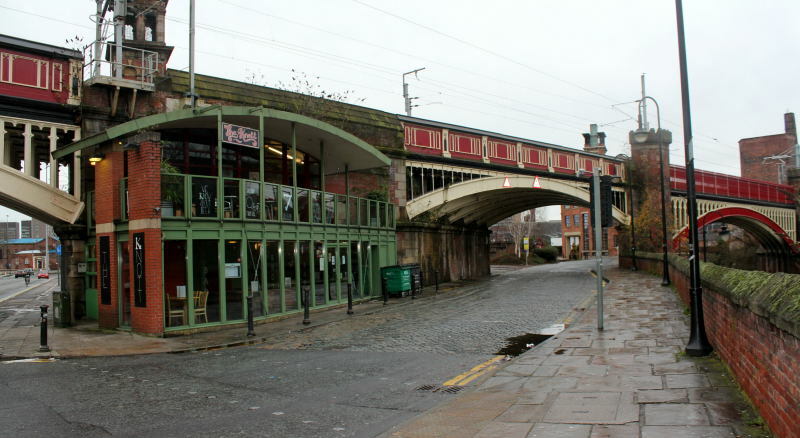 1862 Wrought iron lattice girder footbridge built to cross the River Mersey at Northenden. Girders 88 ft long, supported on eight 8" dia cast iron piles. 1868 Made an iron lattice girder bridge for Pernambuco, Brazil. Five spans of 100 ft, two of 40 ft. 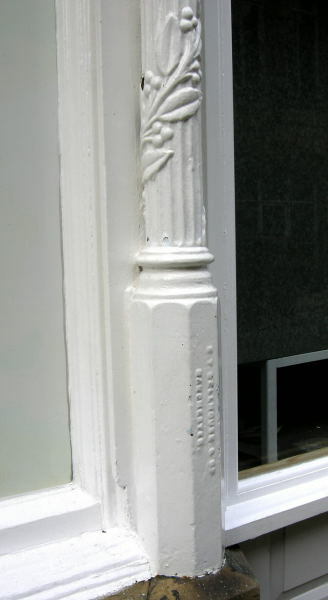 The girders rested on cast iron columns filled with concrete. 600 tons of cast iron, 900 tons of wrought iron. Designed by William Martineau. 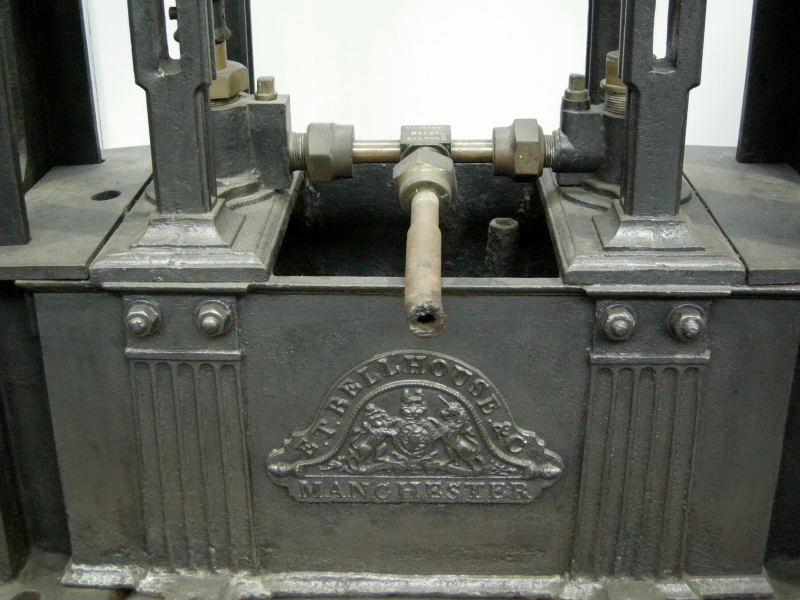 See here for an amusing tale concerning a large gear wheel casting. The 1849 O.S. map shows that the foundry was close to the western end of Hunt Street (now Whitworth Street) and backed onto the Rochdale Canal. Immediately west was the Eagle Mill, with a timber yard to the right. 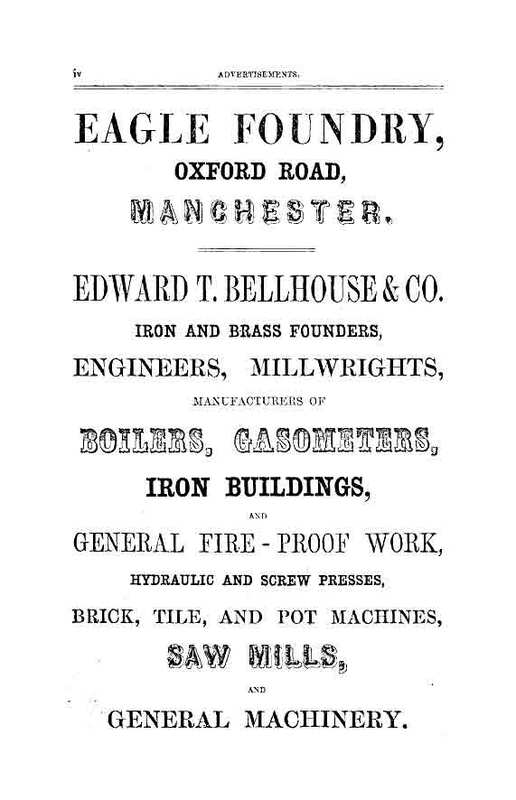 Goad's Insurance Plans Map 19 dated 1886 (updated c.1901) shows the foundry as still being in use by Bellhouse & Co. Their immediate neighbours were A. L. Bostock (spinning mill) to the west and Galbraith and Co's shipping warehouse on the eastern side. Directly opposite at this time was Bloom Street Power Station.